Today, during the Sonic Panel at Austin's SXSW Gaming event Sonic Team revealed that Project Sonic 2017 will officially be called Sonic Forces. This comes from the fact that the game will explore the "Forces of Good and Evil" - it's possible we could see something similar to Sonic Adventure 2 and its different storylines. 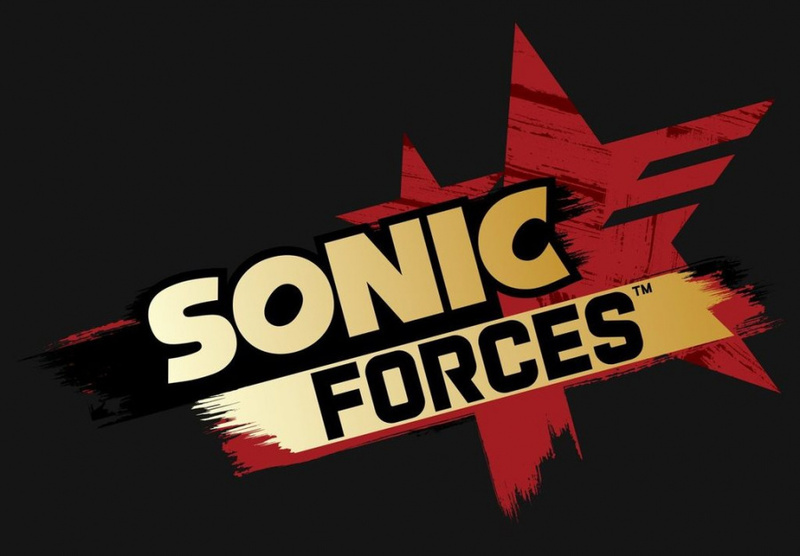 It was also revealed that Sonic Forces would be running on the "Hedgehog Engine 2" with the first Hedgehog Engine being the one used for Sonic Generations. The wisp mechanic from Sonic Colors will also be used in the game, while the level-design will be non-linear like Generations, in which there were multiple paths through the levels. 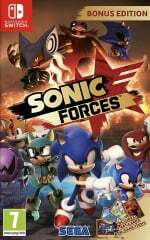 Sonic Forces is planned for release on Switch sometime this year, and the team confirmed that we'll hear more specific details come E3 2017. Sounds like they may have characters from the comics in it. Not sure if I should wait till I get a Switch for this or just buy it on PS4. I mean it's nice to play it on the go and Mario Odessy looks good. Tough decision. Sonic: unleashed, colours and generations were all good so I have high hopes. The feels. I wish they'd forget about Wisps already. They should only exist in the Colors series imo. Fingers crossed this game pulls through and is at least as good as Generations. @MintFox & Featuring Dante from the Devil May Cry Series? Why is everyone laughing about Hedgehog Engine 2? It' the new version of the Hedgehog Engine folks. No different from Dunia Engine 2. Or Unity 5. Are the stories in Sonic games any good? I hope the hedgehog engine 2 is built with support for blast processing. @Xaessya So bobble head galactic forces chase Sonic around with a football? I can't get excited over a Sonic game any more. This looks to be yet another mediocre game. I know that one guy from IGN was under fire for saying that Sonic was never good... but he's really not that wrong. Hopefully this game is actually good. Well at least its coming to Switch. @-Green- Depends what you're looking for. Some can be bad like 06 and Shadow. Adventure 2 is probably the best story driven one but it doesn't have much competition. The majority are simple light hearted adventures such as gens, colours, heroes, lost world and rush. I always thought that the story in Sonic was developed through other media: comics and tv. That said, this game looks great even from just that small bit of grainy footage. SO excited for tomorrow.
" The wisp mechanic from Sonic Colors will also be used in the game"
@ThePoochyKid Did you see the gameplay trailer? The background looks good so far. Too bad... Sonic must run so quickly so no chance to enjoy the beauty of HD landscape for long time. Sonic will be the ball. This is going to be 💩 isn't it? I've never been a Sonic fan, but I don't hate him. Correct me if I'm wrong, but aren't people asking for the old school nostalgia that was the fast-paced (ultra fast-paced?) multi-path platformer games back then? I haven't seen much of Sonic games since Adventures 2, but that looks like the same tired 3D runner that was used on Unleashed (and as I've heard many others). Nonetheless, I'm always hoping it will be something that will please Sonic fans. Apparently it's an "evolution of Colors and Generations." That's exactly what it looks like, and that's great news. Need to stick with what works, and that's what works. YES!!! Looks exactly like the day stages from Unleashed, which is my favorite video game! Can't wait for this!! Apparently it has 3 gameplay styles. So probably classic, modern, and something else. @Xaessya As a person who has fully beaten SA2 all 180 emblems (small boast). I can see what you mean more (exploration/control). I think 06 scared them away from that formula. The boost formula is pretty fun too. I reccomend trying generations if you haven't already. They said Sonic's friends in the stream so hopefully Shadow, Blaze and tails are playable. So the game will focus on light & dark? Does that mean "Shadow with a gun" is confirmed for the new Sonic? I have not been able to enjoy a sonic game that wasn't 2d. Mario/Nintendo set the bar so high for 3D platforms that its ruined me for some games. It looks kinda like Sonic Unleashed. Hopefully it turns out to be something special. This could be great if they they follow the right formula. @ThePoochyKid Sonic 1-3 and Sonic and knuckles was fantastic games. @Donutman yeah I know Zelda is also one of my favourite game series. MM is my personal favourite. But there's like three things stopping me getting it so far: 1. Studying 2. The price of the switch and accessories is quite high 3. It's just Zelda at the moment and OMG the amiibo prices are through the roof from scalpers buying them all. I just want Epona 😭. But, smash link costs a lot online because and he's sold out in the U.K. Nintendo store. @Donutman also I agree Nintendo has definitely made some of the best platformers ever. Mario galaxy 1 is amazing. Played that game to death. But I always came back to Sonic games for the music, characters and gameplay. I always hold the run button down in platformers fast paced gameplay is just something I enjoy. I hope for them and Cream and Silver. I did enjoy him even with his faults. It looks like more of what we got in Generations, but that's not necessarily a bad thing. @Xaessya me too. But, I think they might just be cameos like in gens. I think they said there was gonna be a new character or something. Also classic Sonic is from the past so there will be time elements. You never know Silver could be involved. I think they might just stick to the main ones though like Sonic, tails and knuckles. Maybe Shadow or Blaze because they're really popular. ...Sonic isn't your only franchise SEGA. Reminds me of Sonic and the Secret Rings. I think this is the first time I've been excited for a Sonic game since... well, God knows when! As long as it's like Generations and Colors, which it looks like it is since it's made by the same team, then it should be good. I like the approach Sega is taking with Sonic Mania and Sonic Forces. Both games Imo would appeal to both of their massively divided fanbase (specifically the classic fans vs the modern fans). I would argue Sonic Mania would mostly appeal to classic fans, while Sonic Forces would appeal to modern fans. It's a win-win really. As for me, as long as Sonic Forces plays similarly to Generations or Colors, then I have no complaint. That said, excited to try out both. Yes. Just all of the yes. @Bobb Sonic Mania is in the style of the genesis games. This is more like generations/colors (the most well received modern sonic games!). @Slim1999 I'm not trying to imply all Sonic is bad, I'm saying that the first 5 games (1, 2, 3, Knuckles, & CD), Colors, and Generations are simply mediocre games. The concept of a Sonic game in and of itself is deeply flawed. Personally, I don't think it's possible to have a good Sonic game while keeping the core concept of Sonic the same. However, Sonic Mania doesn't look bad. It might be the best Sonic game yet. @PikachuForeva The 30 seconds of gameplay they showed? Yeah, it looks like standard 3D Sonic mediocre-ness. They are cheering for this? Whats's wrong with them. @-Green- that depends on who you ask. Looks like Sonic Unleashed 2 without the Werehog, which means it's going to be a great game. Current i got the switch. You can bring it anywhere. I having my TV in the living room. So i get to take the switch out and continue playing on the bed, with any comfortable gaming angle. I'll have to see it in action before I get excited. @PikachuForeva You'd be correct, the Hedgehog engine was first used for Sonic Unleashed. Awful name, but the footage shown above looked good even if it was off-screen. The game title itself is a dead giveaway! 3D Sonic games should be illegal, they are freaking garbage, every last one if them. Sonic Mania is where its at. I really think my only Sonic fix will be that of Sonic Mania. I don't need 3D Sonic. The wisps are back AGAIN?! WHY?! Ugh. I didn't hate the wisps in colors, but they shouldn't have been used again. The wisps are fine... in Sonic Colors. Not in Generations or Lost World though. If they can make the colour powers like in Sonic Colors it should be fine.